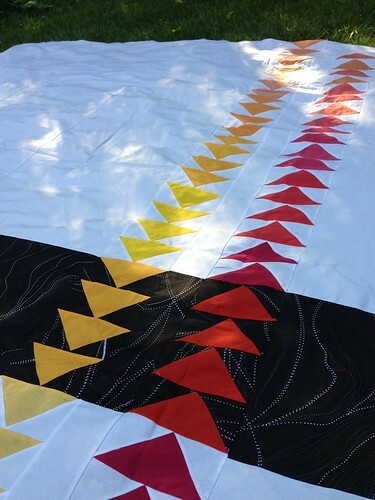 After this quilt and the last one I am officially all geesed out. 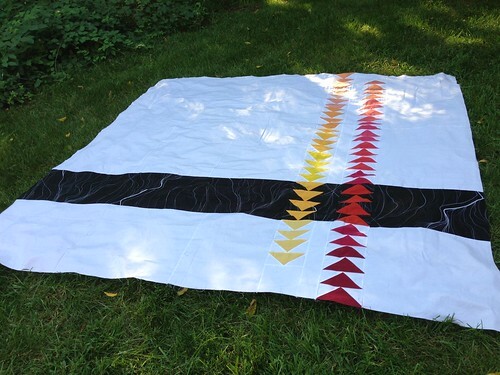 This quilt top was made for my good friend Sarah, and reflects her aesthetic – black, white, and warm colors. I like that the minimalism is so different than what I usually work with. It definitely pushed me out of my comfort zone. I think it will look great in her apartment. The geese are made from Kaffe Fassett shot cotton that I received in a swap. I used the no waste flying geese method. This was probably not the smartest choice as I had a lot of problems with the fabric stretching out of shape. 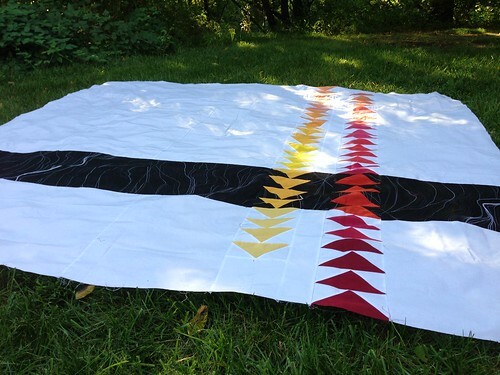 Hopefully the finished top (and especially once it is quilted) don’t show it too much. 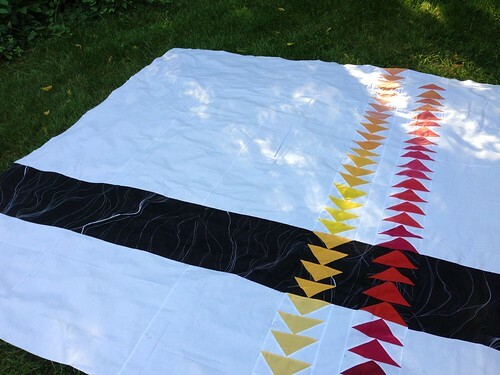 Next time I would just make “traditional” flying geese using the flippy corners method. 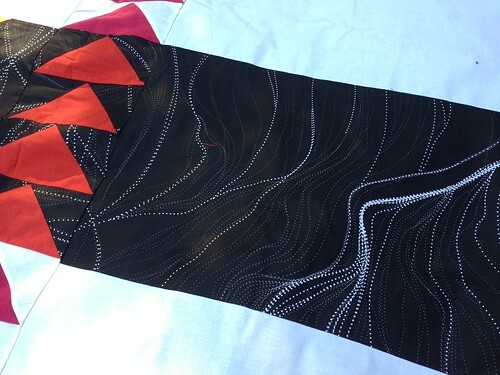 The black band is an aboriginal fabric from Australia. It has a lot of depth and movement and I think it contrasts nicely with the geese and the white negative space. It is still pretty stark, but the print breaks it up a little bit. Sarah is going to have it longarmed once she picks out the backing. It will be bound using more of the black and white print. I can’t wait to see it finished!